Milford House Press, 9781620064795, 256pp. When the murder of Andy Cornell's brother is still unsolved after two and a half years, Andy enters Albuquerque's hidden worlds of cartel violence, street people, and Pueblo secrets to find justice. He and Rick were inseparable as boys. So Andy is determined as a newspaper's police reporter to help the cold-case unit find a breakthrough on the murder of his detective brother. Andy's ex-wife, a cold-case detective he once loved, a Pueblo tribal policeman, a college history professor, and a homeless drug informant seem unlikely allies. But they help Andy untangle conflicting details about his brother's cold case. To solve Rick's murder, Andy must prove his own innocence when he becomes the suspect in the homicides of another man and a long-time reporter friend. Dennis Herrick writes mostly about the American Southwest, focusing on the Pueblo natives for his short stories, magazine articles, and his historical novel, "Winter of the Metal People." A Michigan native, he worked for and around newspapers all of his adult life as a daily newspaper reporter, a chief of staff handling press relations for a congressman, a weekly newspaper publisher and editor, a newspaper broker, and finally a full-time lecturer on journalism at the University of New Mexico. 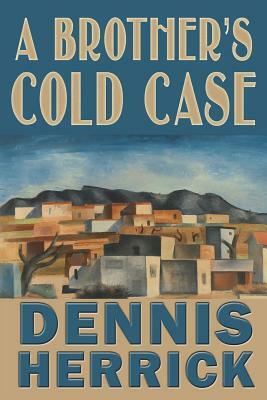 He is a winner of the Tony Hillerman Mystery Contest and the Society of Southwestern Authors Contest. He and his wife, Beatrice, have been married since 1967. They live along the west bank of the Rio Grande between Albuquerque and Santa Fe.